Kuubalaisten elokuvien kokoelma: BELOVED, A SUCCESSFUL MAN, CECILLIA, CHE GUEVARA AS YOU'VE NEVER SEEN HIM BEFORE, THE DEATH OF A BUREAUCRAT, THE ADVENTURES OF JUAN QUIN QUIN and THE TWELVE CHAIRS. Havana 1914. After the death of her father, a hugely wealthy former slave trader, Amada now lives in her villa with her husband Dionisio, her blind mother and an old servant. Her marriage is a loveless one and her husband is unfaithful, so when she meets her younger cousin Marcial once again, it stirs deep passions within her. Only in her dreams, however, could she dare to play with the idea of fleeing with this journalist who is devoted to the cause of freedom and social justice. Spanning many decades of one wealthy Cuban family, A Successful Man follows the story of two brothers - Dario and Javier Argelles - as they come struggle to come to terms with their differing political beliefs before, during and after the Spanish Civil War. This exceptional documentary pieces together the story of Guevara's life, from early childhood to his revolutionary activities in Cuba, the Congo and Bolivia. 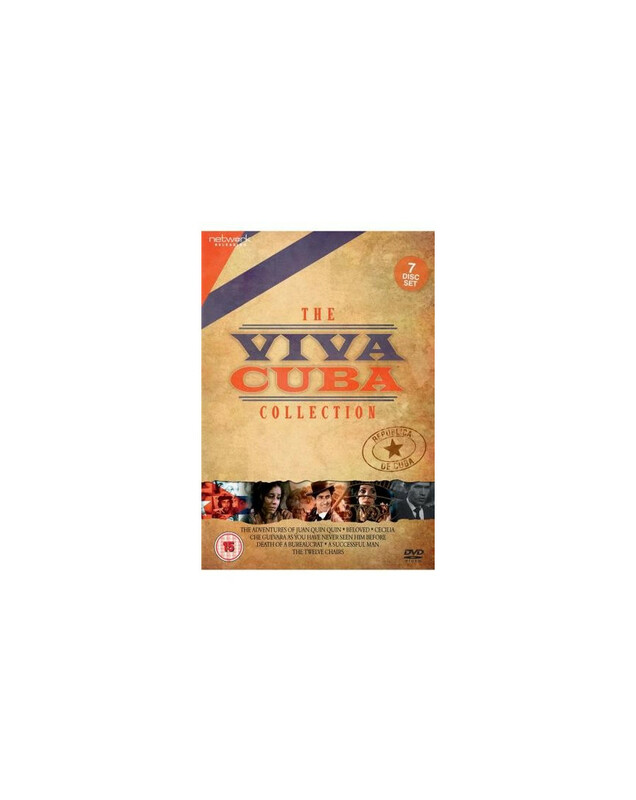 Using previously unseen archive footage and stills, this remarkable diary of events includes interview footage with his father Ernesto, Fidel Castro and many other people who met and worked with him throughout his lifetime. When a well-loved sculptor is accidentally killed by the machine he created to mass-produce busts of nineteenth-century revolutionary hero JosÈ MartÌ, his family decides he should be buried gripping his union work permit as a symbol of his dedication to Castro's cause. Unfortunately, when his wife goes to receive her pension, the paperwork cannot be completed without her dead husband's work permit. Distraught, she enlists her nephew to exhume the body and so begins a maddening paper trail that ends in a hilarious climax exposing the insanity of bureaucracy. Juan Quin Quin, a poor but shrewd farmer, survives in pre-revolutionary Cuba by living on his wits; as a church functionary, as a circus performer, as a bull-fighter and as a coffee planter who is swindled of his wages by the plantation owner. As the Revolution begins, he and his friend Jachero join the supporters of Fidel Castro and subsequently become ensnared by Batista troops. On a secret exploratory mission Jachero is killed and Juan looks back on their joint adventures together in the revolutionary cause.